M7338- Gold-Leaf Gilded Plaque of the Seal for Union City, Georgia. 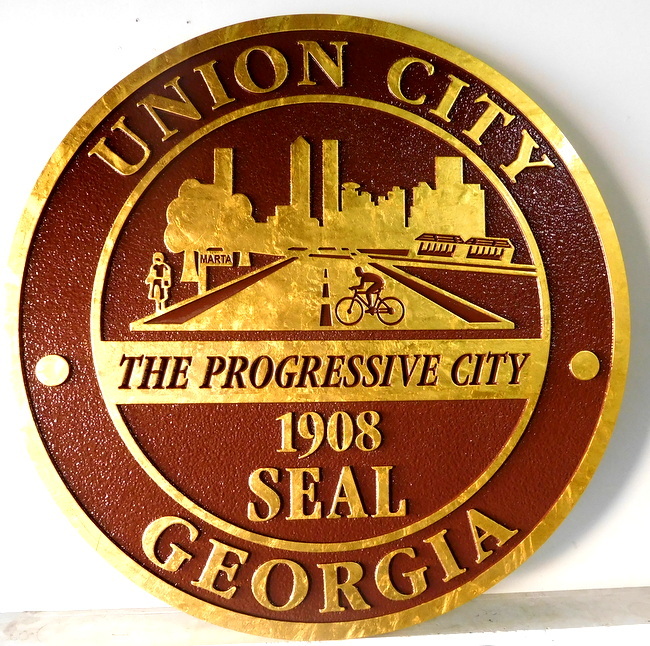 Above is a photo of a 24K gold-leaf gilded 2.5D carved High-Density-Urethane seal for Union City, Georgia. The burgundy background is sandblasted in a sandstone texture, and text is both raised and engraved. This seal is 36 inches in diameter. The entire plaque is clear-coated twice.